Veterinary oncology is a relatively new field in animal medicine, and there less than 500 board-certified oncologists in the entire U.S. Recently, Tripawds was lucky enough to spend time with one of the first and most knowledgeable veterinary oncologists, Dr. Mona Rosenberg. “Results: 36 dogs received carboplatin alone, 18 were randomized to receive carboplatin AND doxorubicin. Carboplatin alone is 535 days compared to 200 days for dogs receiving Carboplatin and Doxorubicin (p=0.013). The median survival for dogs receiving Carboplatin alone is 572 days compared to 229 days in dogs receiving Carboplatin and Doxorubicin (p=0.007). 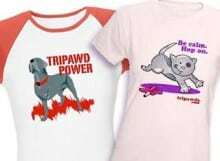 UPDATE (July, 2014): Please see this more recent Tripawds News blog article for more relevant information regarding the effective number of chemotherapy treatments, based on more current clinical studies. In this 2010 video below, Dr. Rosenberg briefly shares the history of her groundbreaking practice, the Veterinary Cancer Group of Southern California, and she also discusses the new recommendation for treating canine osteosarcoma. Dr. Rosenberg’s practice is the largest private practice veterinary oncology group in the U.S. Step inside of a Veterinary Cancer Group office, and you’ll see how their welcoming staff and bright, sunny decor can help take the fear out of cancer care. Every staff member takes an interest in the animals who walk through the door, showing compassion and love from the time the patient arrives until they go home. In our previous Tripawds News post about VCG, you can watch Dr. Rosenberg’s staff in action as Daisee gets her first chemotherapy treatment. Patients like Daisee who are treated at VCG clinics have their own personal team of specialists to help them fight cancer. Each morning, doctors, residents and technicians at all three clinics hold conference calls to discuss individual patients, and provide valuable feedback and support to each other. This ensures that every patient receives the most comprehensive, cohesive and effective care possible. With three different locations throughout Southern California, Dr. Rosenberg’s practice has staff, technology and resources that are unrivaled in most of the country. They are also only one of a handful of oncology centers with a private practice American College of Veterinary Internal Medicine (ACVIM) Accredited Oncology Residency Program, which attracts only the best and brightest veterinarians. Stay tuned for another conversation with Dr. Rosenberg about the Metronomic Protocol for treating canine cancer, as well as her thoughts about immune boosting supplements after a cancer diagnosis is made. 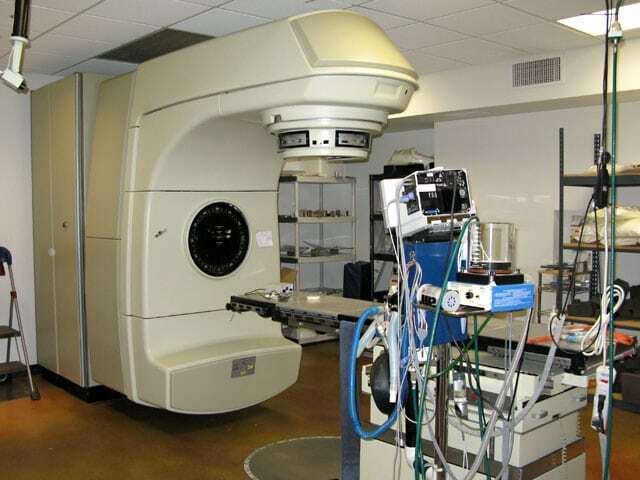 (2014) How many chemotherapy sessions are best for osteosarcoma in dogs? I am proud to say that Mackenzie goes to the VCG in LA. It’s been an excellent facility with excellent doctors and staff – I can’t say enough about it. I highly recommend the VCG for anyone going through cancer with their pet who lives in the Southern CA area. Hey what a small world! Thanks for letting everypawdy know about your great experience there.